For most pilots, soloing is the first step in the fulfillment of a life-long dream. But when Blake McHenry soloed, he was also connecting to the past by honoring his grandfather’s memory, Lieutenant Commander Vincent Anderson, a World War II era Navy Pilot! Blake’s unique headwear is a cotton pilot’s skull cap that his grandfather wore. 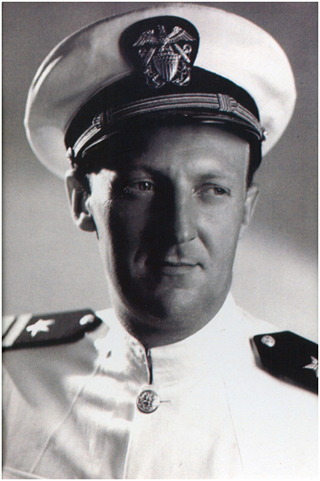 LCDR Anderson was a SOC-1 pilot stationed on the USS North Hampton in the Pacific during the early 1940s. 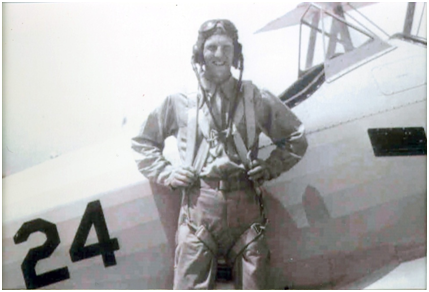 Blake had been keeping his grandfather’s cap in his flight bag, and on August 19, 2011 at Hartford-Brainard Airport, Blake donned the cap took to the skies alone with the memory of this grandfather at the forefront of his mind. Aviation is central to the McHenry family. Blake’s father, JD McHenry, an FAA certified mechanic, is also a student at Premier Flight Center. 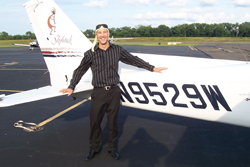 JD soloed on May 29, 2011. Blake’s brother, who currently lives in Hawaii, has also soloed! The McHenry’s own and operate Global Jet Services, Inc., an industry leader in aviation maintenance training. Lieutenant Commander Vincent Anderson, a United States Navy pilot, is the father-in-law of Premier's JD McHenry, and the grandfater of Premier's Blake McHenry. 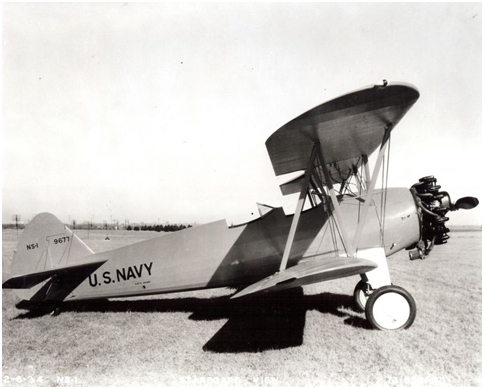 LCDR Anderson began his career in at Pensacola Naval Air Station (NAS) where he learned to fly in an N3N Kaydet Stearman. He received his wings and graduated in May 1940 with 232 flight hours. Soon after, he joined the USS Northampton in Sand Diego, California to fly the SOC-1 as Lieutenant. The USS North Hampton, a 9,050 ton light cruiser built in Quincy, Massachusetts, was commissioned in May 1930, the first of a class of six similar ships. It primarily served in the Atlantic and Caribbean areas until 1932 after which she saw active duty in the Pacific. 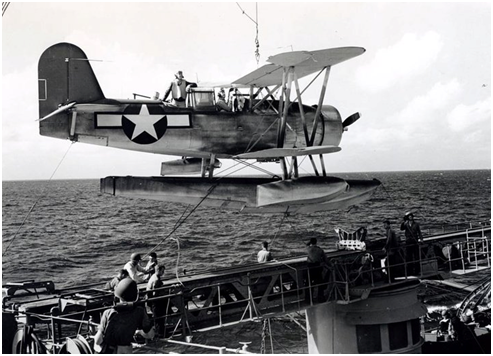 Over the next 12 months, Lt. Vincent flew the SOC-1 off the USS Northampton until June 1941 when he was diagnosed with kidney damage, the result of repetitious catapult launching of his SOC-1. Initially, he was treated in the U.S. Naval Hospital at Pearl Harbor. He recuperated back in San Diego, where he spent his time until the war began on December 7th 1941 following the bombing of Pearl Harbor. Lt. Vincent was called back into active duty (off of active flight status due to his kidney), and he served in San Diego until November 1942. He then transferred to Washington D.C. to work at the Bureau of Ordinance. In February 1944 as a Lieutenant Commander, Vincent Anderson moved to Miami, Florida and worked as the officer in charge at their flight gunnery school. LCDR Anderson also went back to flying SNJs and NE-1s as a flight instructor. 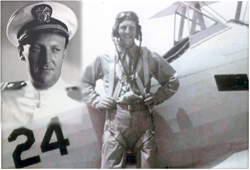 In 1945 LCDR Vincent Anderson retired from the Navy, having earned a total of 1111 flight hours. Vincent Anderson moved back to Minnesota, where he raised his 4 children, one of which is Blake’s mother. The N-1 Kaydet Stearman, as flown by LCDR Vincent Anderson during the 1940s. 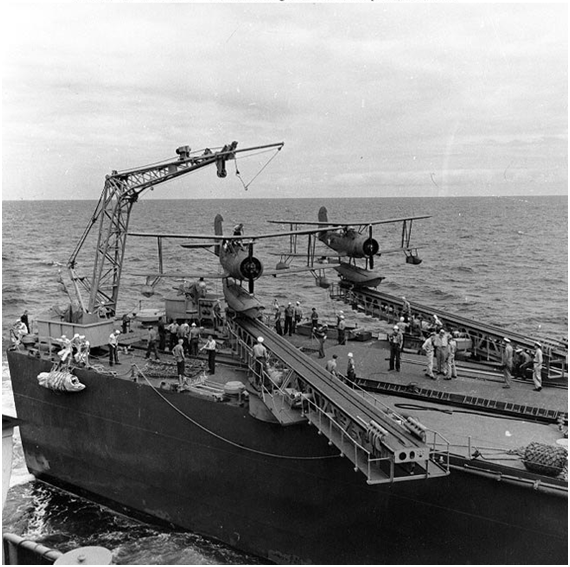 Two Navy SOC-1s sit on catapults awaiting launch. 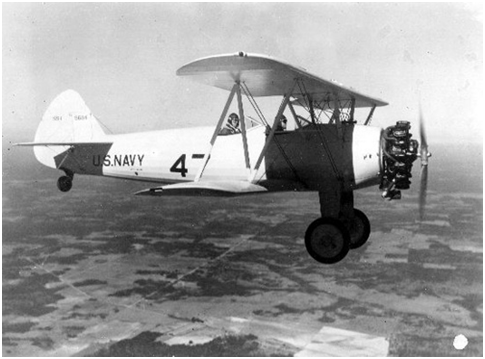 The Navy SOC-1 was a carrier based airplane. 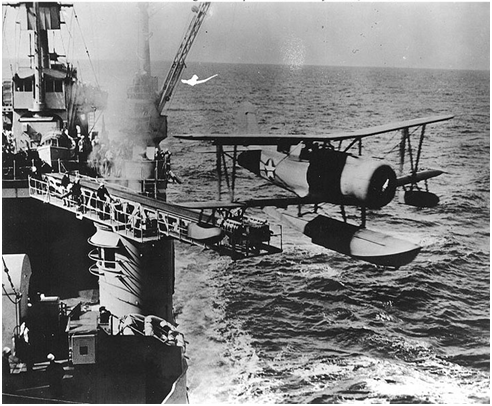 They were launched into the air by catapult, but the Navy's early carriers had no way to land aircraft on the deck, so the planes were "sea planes" too. They flew their missions and returned to the area of their ship where they would land on the sea. A crane would retrieve the plane and return it to the deck, as shown below.